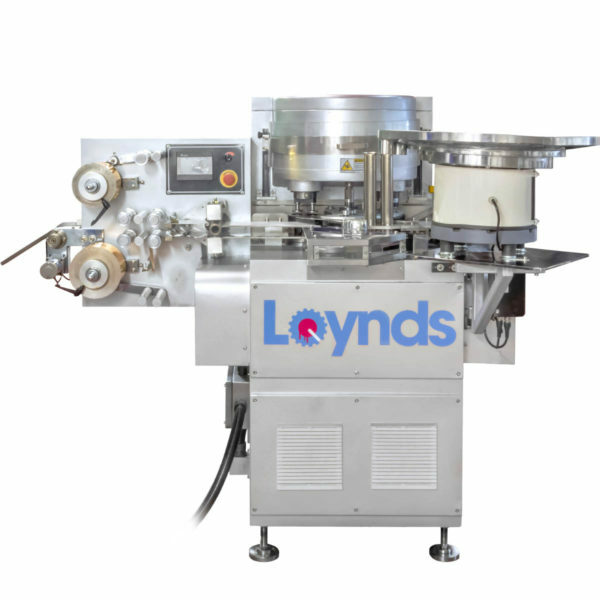 Cut batches of fudge, nougat, caramels and other food items into oblongs, squares and bars. 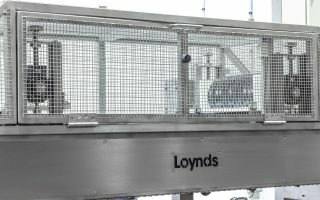 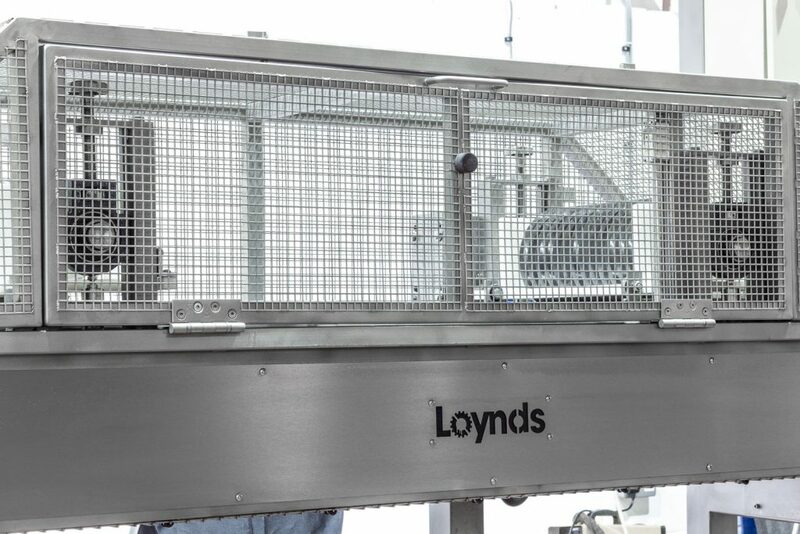 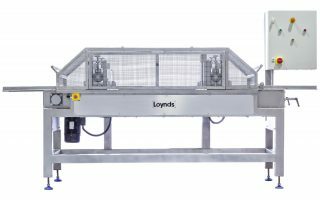 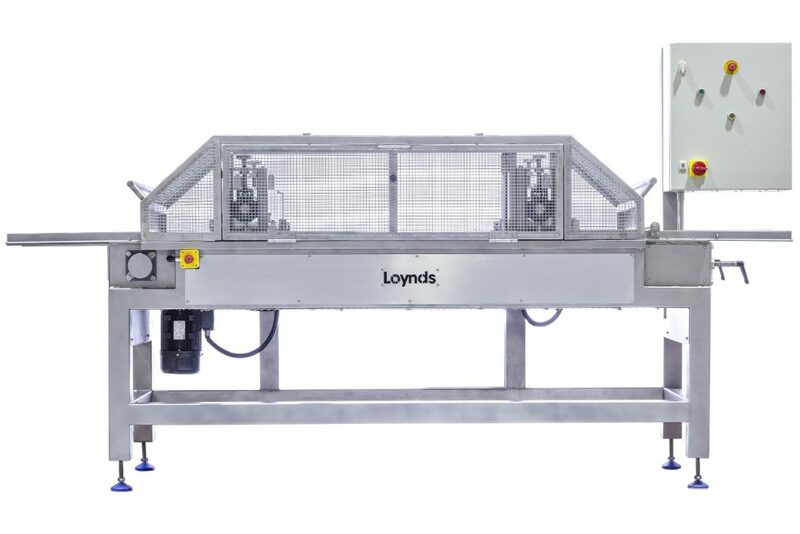 The Loynds rotary blade batch cutter can process maximum batch sizes of 480mm x 480mm at speeds of up to five batches every minute. 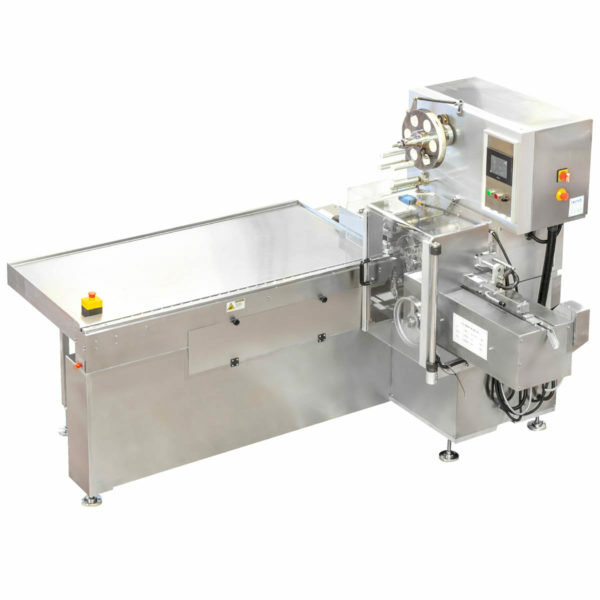 A rotary blade cutting machine suitable for cutting slabs of fudge, caramels, nougats and various other soft food items. 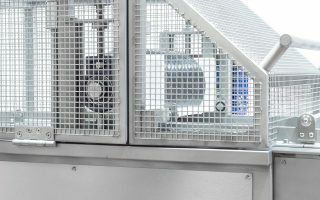 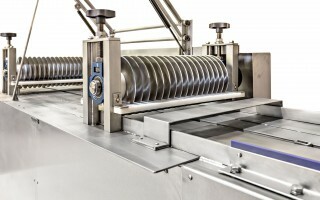 A dual set of rotating blades can cut product into cubes, oblongs and bars. 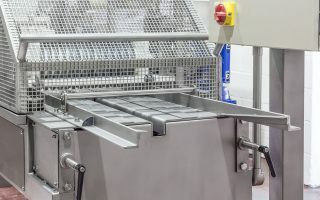 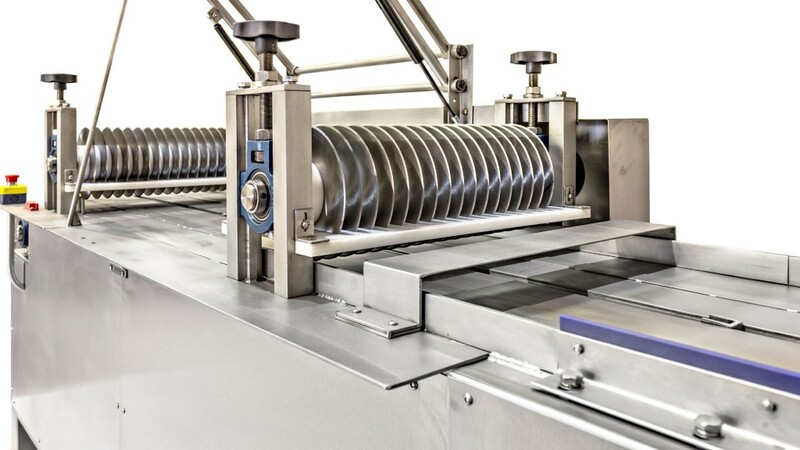 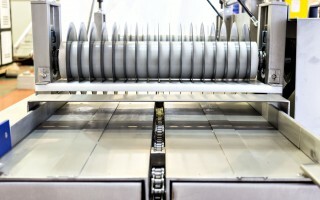 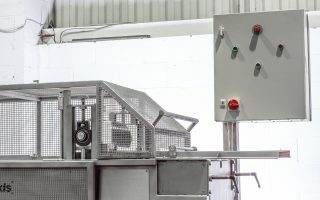 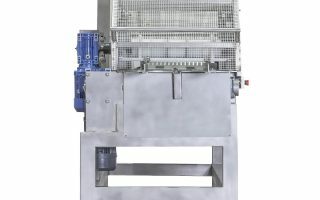 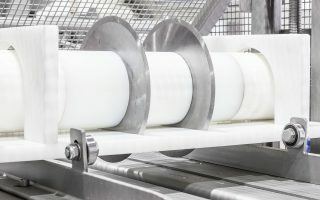 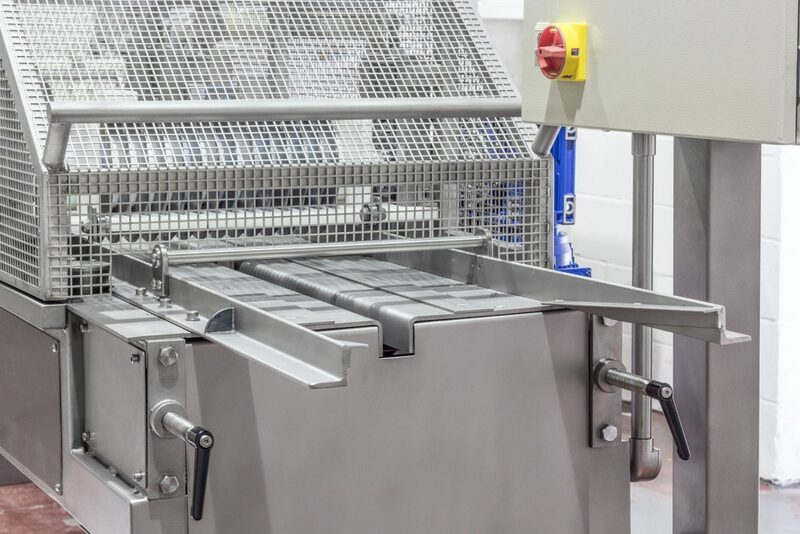 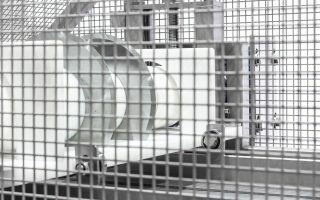 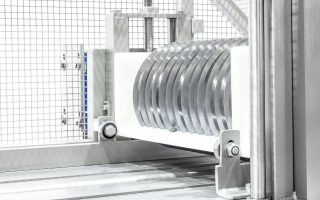 The fudge cutter consists of a center chain conveyor that transports a nylon tray through the machine. 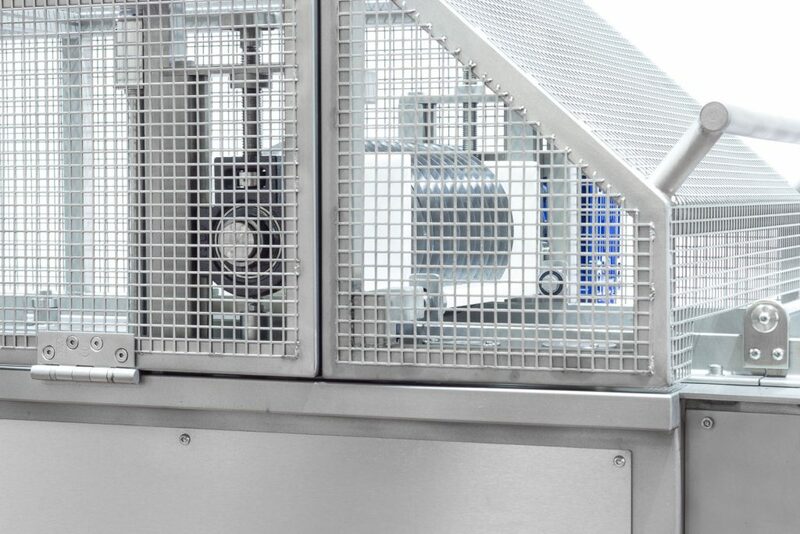 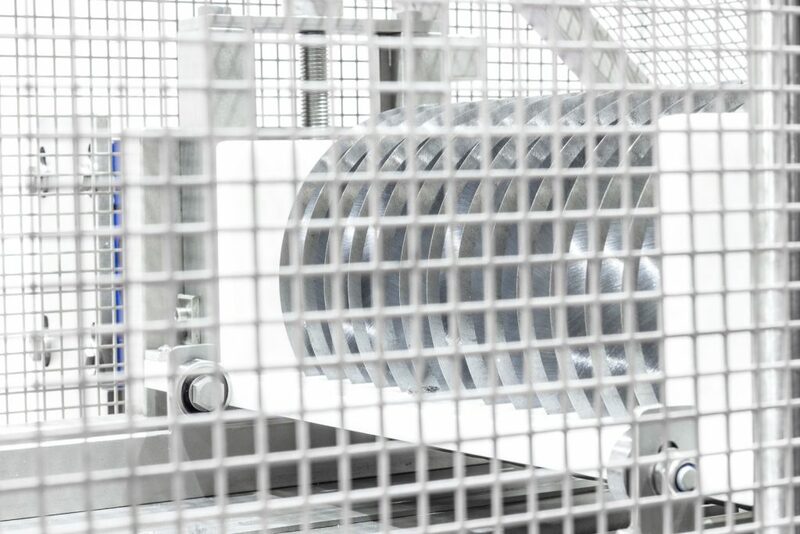 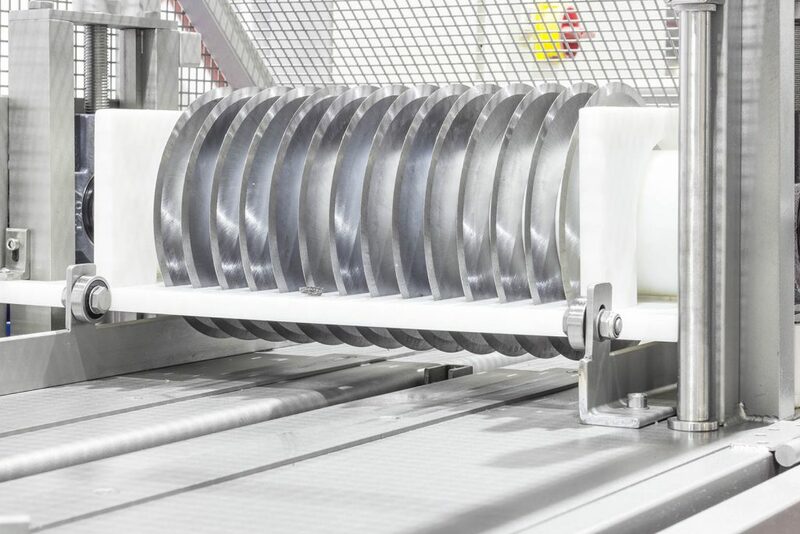 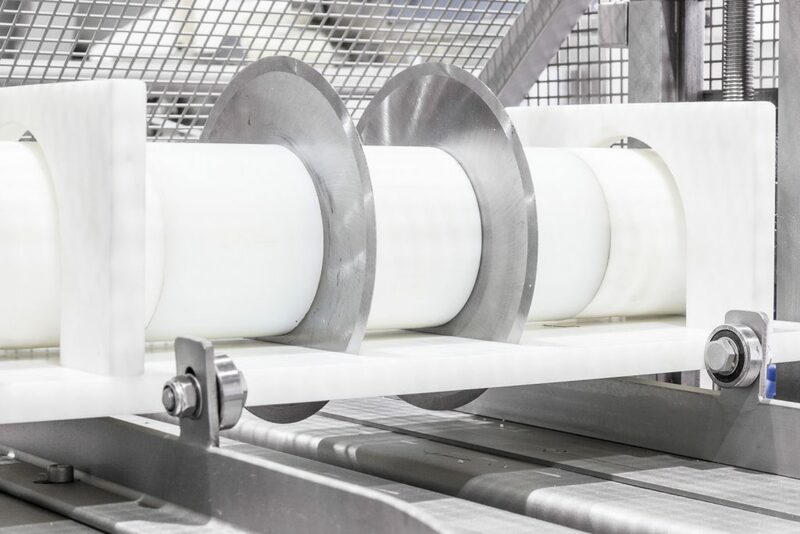 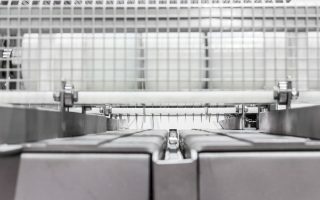 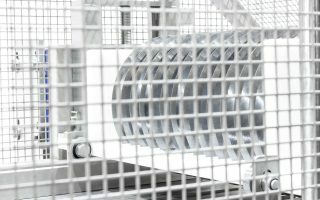 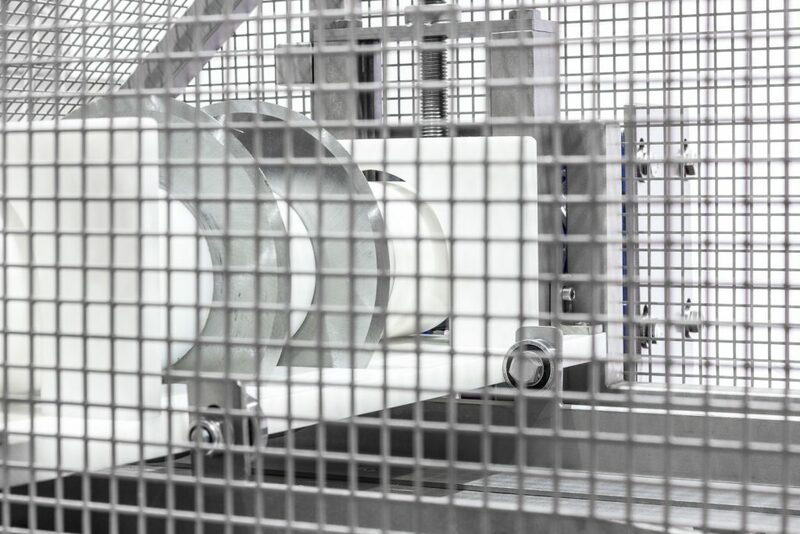 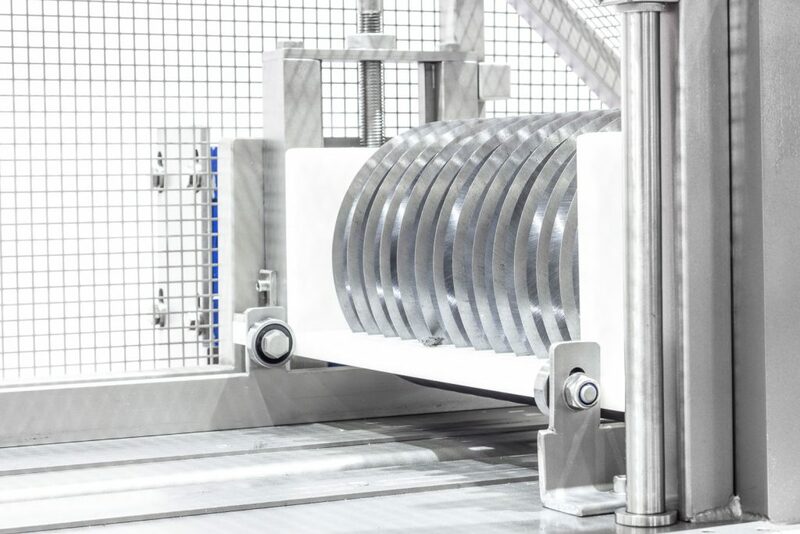 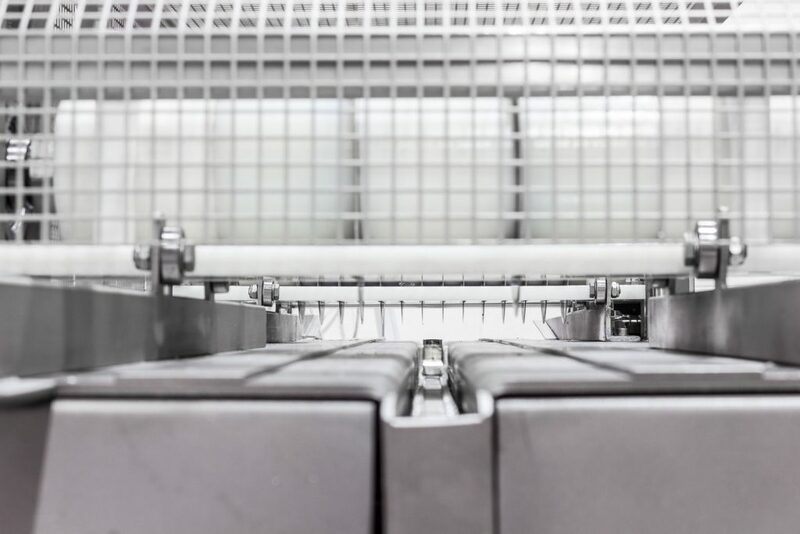 Product is loaded onto the tray before it is automatically transported through the set of rotating blades. 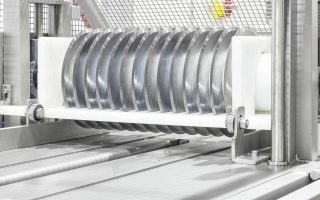 The tray is rotated 90˚ before passing through the second set of blades to give the criss-cross cut. 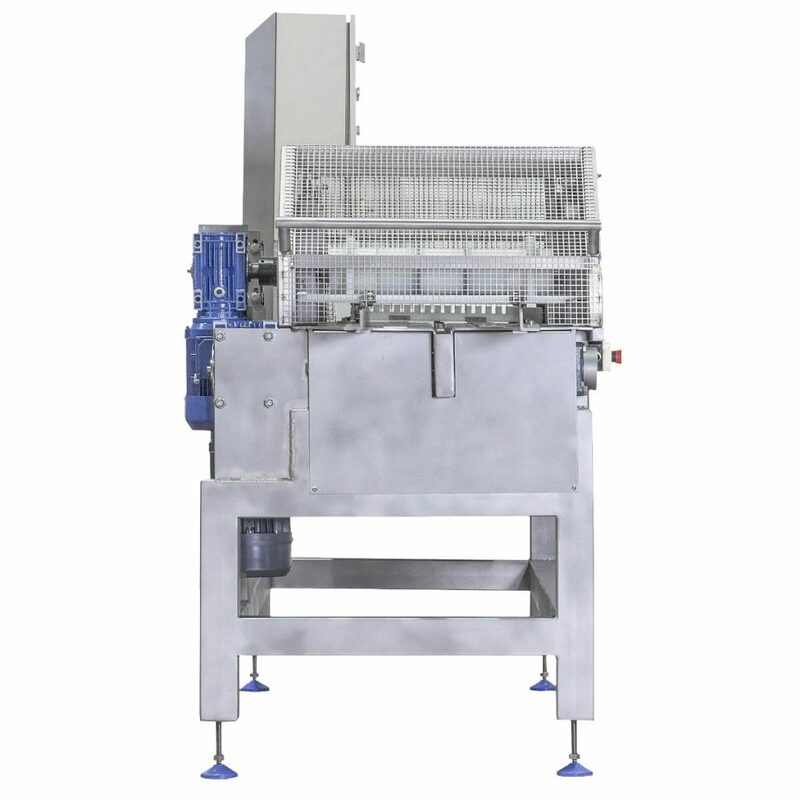 Machine body manufactured from full stainless steel. 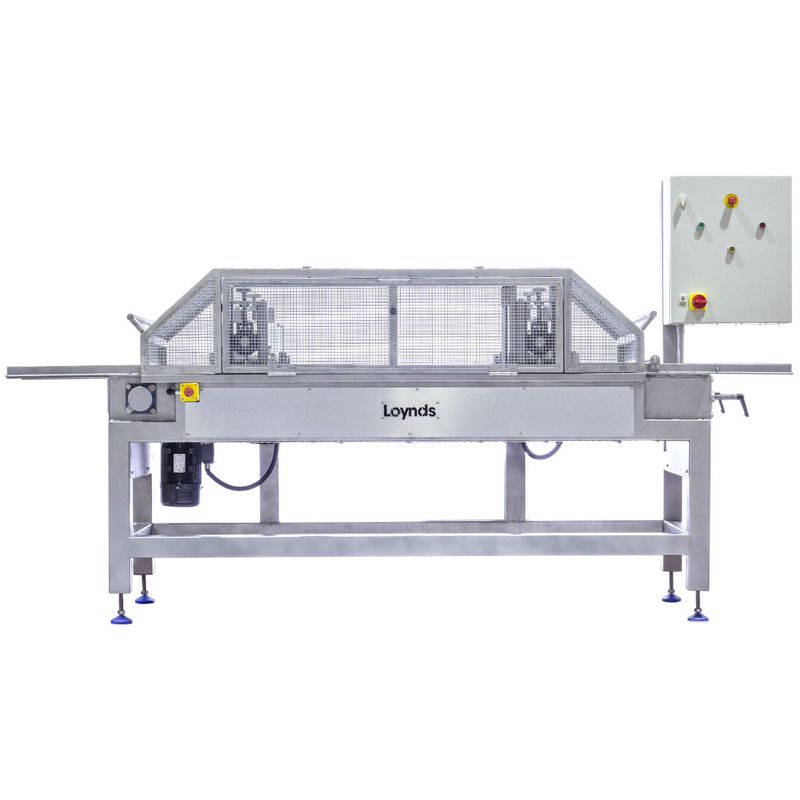 Food grade nylon tray holds a slab size of 480mm x 480mm. Cuts product into oblongs, squares and bars. 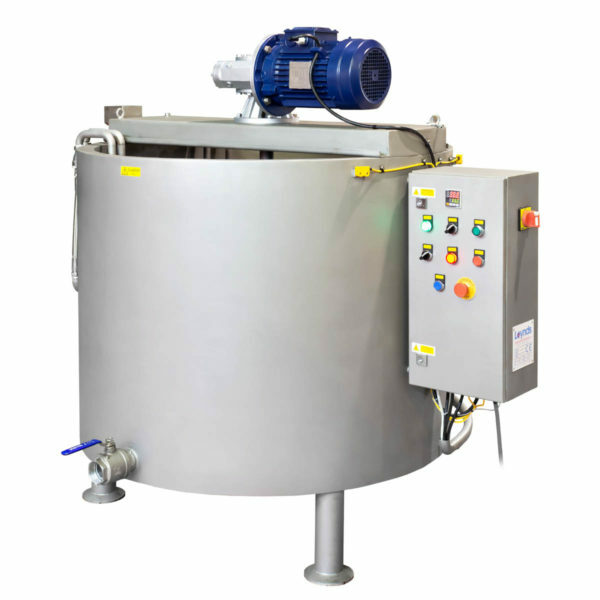 Maximum speed of five batches per minute depending on product.